Cathryn Summerhayes is a literary agent at WME in London. Founded in 1898 by William Morris, to represent vaudeville performers, the William Morris Agency soon developed an interest in all mediums. Representing a host of movie and music stars, along with many of the world's best-selling authors, they became one of the most prominent agencies of the 20th century. In contrast, the Endeavor Agency only formed in 1995, by four talent agents who had been let go by ICM. But they quickly established themselves, by hiring agents from UTA and CAA, along with a roster of clients, to become one of the fastest growing and most powerful talent agencies in the entertainment industry. After a decade of competing for clients, the two agencies announced in 2009 that they were merging into WME. With offices in London, New York, Beverly Hills, Nashville, and Miami, WME is now the world's largest diversified talent agency. Cathryn Summerhayes began her career at Colman Getty PR, where she coordinated a number of high-profile events, including the Samuel Johnson Prize and the Man Booker Prize. Later, she worked at two London literary agencies, David Godwin Associates and David Higham Associates, where she built her own client list of authors. In 2006, Cathryn joined the William Morris Agency, and was part of the London team that were rebranded as WME in 2009. When did you make the decision to become a literary agent? Were there any mentors in the early part of your career? I was working in PR as an events manager and administrator – mainly organising big literary events/prizes, the Man Booker Prize, Forward Poetry, Samuel Johnson, etc…and what I loved MORE than anything was getting in the proofs of books (or even just printed pages) of manuscripts for prize submissions. One day, I had the unbound draft of the new Martin Amis novel in my hands and I thought, I don’t want to organise any more prizes, I want to be AT the prizes, with my own authors… I never looked back. Although I was SUPER poor for a while because I had to intern for free (as most people do nowadays). Mentor-wise, I have to say a big thank you to Michael Fishwick from Bloomsbury, who knocked on a lot of doors for me, Lee Brackstone from Faber who introduced me to my two first authors, Clare Wigfall and Richard Milward, Derek Johns at AP Watt for being the first agent to invite me in to talk about what an agent actually does (I was clueless), Jonny Geller at Curtis Brown for letting me read his slushpile and David Godwin and Caroline Michel for giving me the two biggest breaks of my career. And now I owe a lot to Jennifer Rudolph Walsh, Suzanne Gluck and Eric Simonoff for continuing to mentor me at WME…and I’ve been here a LONG time now! 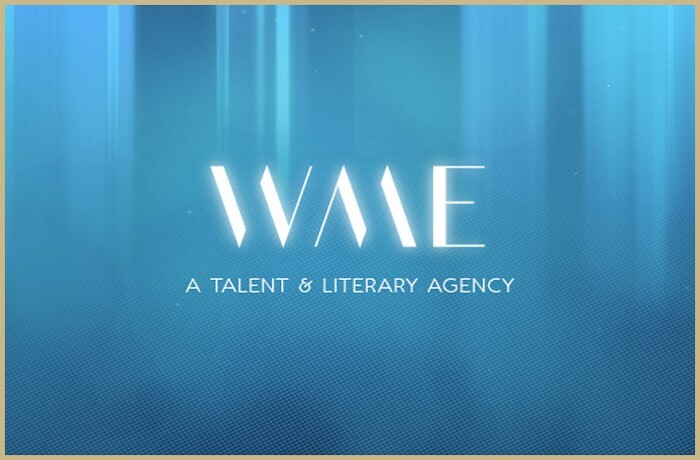 Did the merger of the William Morris Agency, and The Endeavor Talent Agency, into WME, have any impact on your role? And does working for the world's largest diversified talent agency create any additional pressures? I think we’ve always been pretty protected in London and the good thing for our team in NY and the UK was that Endeavor had a relatively small book business, so we never felt in danger. The pluses have FAR outweighed the minuses. More talent, more great writers, more scope to do amazing things with your authors in different areas, film, tv, talent, even music. There are pressures to service a HUGE number of clients from the different areas of the agency – every rock star’s roadie has a book in them – and saying no is obviously tough, but for every dud there is a gem. The email traffic is OUT OF CONTROL… Waking up in the morning after NY and LA have been working into the evening is INSANE and you are never really off…even when you have a baby, as I discovered a few years ago. You previously worked for one of the UK's leading PR Agencies. Did this experience set a high standard in what you expect from an author in marketing themselves and their work? YES it most certainly did – and my continued work with festivals and events has made me even more convinced that in order to be successful, an author has to be prepared to get themselves out there, to festivals, local book shops and library events, blogging, tweeting, generally becoming known inside the publishing world – AND more important outside. WME in the US has a closed policy to unsolicited submissions. Why does your London office operate differently? And do you envisage a time when its doors will close too to those without referrals? The NY office has close to 20 agents so you can see why unsolicited just isn’t an easy thing to manage over there. We are still very much a department of growth in London and I, for one, am always looking for new talent which is why we decided that we would keep our submissions open. I can’t see a time when that will stop although I have to say that we do take a much faster look at personal submissions – ie recommendations from trusted sources or submissions that are made to very few agents for very specific reasons, simply because of the huge number we get every day. Our general submissions are first read by assistants and anything promising is passed on. How many submissions do you receive per week? What things frustrate you most about the work submitted to you from writers? I would say I get between 20 and 30 personal submissions a week – and by personal I mean either recommendations from other writers, editors, trusted people. Then I reckon we get around 50-100 to the general submissions email. But some times of year that might triple – a LOT of people seem to spend Christmas and summer holidays writing. How many writers have you signed from slush pile? Very very few from general slush – maybe 1…but from ‘super-slush’ which comes to me directly I’d say at least half a dozen. Why should a writer seek representation from a literary agent rather than self-publish? Agents HAVE to work hard for you – for every £1000 they make you, they are only making £100-£200…they only get well paid if YOU get well paid… This is something I often have to remind people – we don’t deliberately try to get small advances and low sales – we are as invested in an author’s success as an author is, both for personal reasons because we (or certainly I) wouldn’t represent something we don’t 100% believe in and for fiscal reasons. Do you search for potential clients in other avenues such as published short stories, or from creative writing courses? Do writers hold any advantage in the submission process if their first interaction with you, came from one of these other avenues? I search for potential clients in back alleys and bars, on aeroplanes and campsites…I am always looking for brilliance. I don’t switch off when I get home, or on the weekend…the hunt is part of the fun. I think nowadays it is of paramount importance for authors to practice their art by submitting to prizes, short story websites, etc…and the more credits you have on your bio for this sort of thing the better. That doesn’t mean that there aren’t authors on my list who had never written anything before I took them on for their debut, but I do like to get a sense that the person who is submitting to me is a real writer, ie someone who writes day and night, revising, practicing, learning. How do you react to rejections from publishers for your own clients? You can’t force someone to love something as much as you do. What I HATE, is no response at all. Or a stock pass. Honesty is fine. What are your own specific requirements for those wishing to submit work to you? Do you represent writers who live outside of the UK? Only submit something once you’ve researched the sort of thing I like…never say in a submission letter that you know it needs work, do the work first… Don’t write a long synopsis – think blurb on the back of a book rather than War and Peace. I am looking for literary fiction mainly but I like a bit of crossover reading group stuff and the occasional YA. I am also campaigning non fiction and food. Yes, I represent writers outside the UK but I work with a team of agents in the US so if the author is American we tend to try to steer them towards primary representation in New York with WME. I have an author in Zimbabwe, in Berlin, France…etc…not picky, but I do love homegrown talent…and I’m Welsh, so good Welsh writing really ticks my boxes.